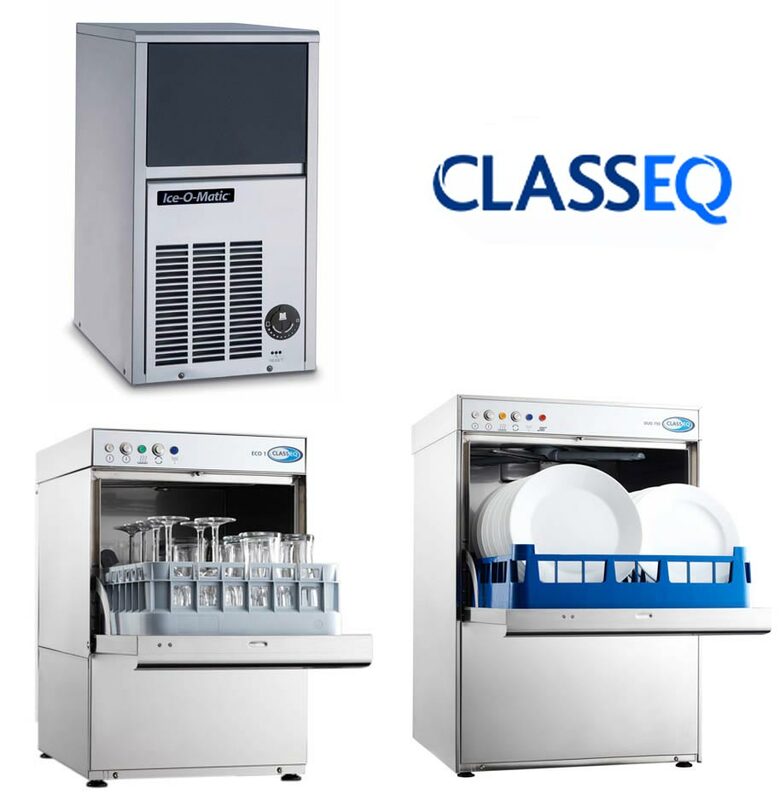 Classeq Warewashing and Ice Machines. Classeq delivers cost-effective catering equipment; delivering both competitive pricing and low running costs due to their high-efficiency. The systems’ efficiency make them perfect for minimising bills and carbon emissions. Their products also come in a range of different sizes, and so are likely to be able to provide a solution that suits your business. Whether you are looking for warewashing equipment or ice machines, K.C.S.’s expertise can help you find the perfect system for your requirements, in addition to providing any servicing or repairs you require. Classeq provides a range of different products for businesses to choose from. Their range of warewashing equipment includes high-volume rack dishwashers, front loading glass and dishwashers, utensil washers, and pass through dishwashers. Additionally, they create ice machines in a range of sizes. K.C.S. can help your business find a Classeq product that suites your requirements. Servicing is necessary for keeping your system as efficient as possible, whilst also helping the dishwasher meet the sanitation requirements necessary for disinfecting utensils and dishes. This ultimately lowers running costs and maximises the systems’ productivity. As Classeq’s catering equipment are used for food hygiene, ensuring that they are fully operational at all times is essential for sanitation. Our prompt response time is capable of having someone onsite within 24 hours of the initial phonecall*, helping minimise the time required before the repairs take place.